Jack Daniel’s, the world’s no.1 crafted American Whiskey, is launching Jack Daniel’s No.27 Gold Tennessee Whiskey, a double-barrelled and double-mellowed expression of Jack Daniel’s Old No.7 Tennessee Whiskey, following a successful launch in Global Travel Retail markets over the last 12 months. Available in the UK from August, the release of Jack Daniel’s No.27 Gold Tennessee Whiskey marks the first time the Lynchburg distillery has offered a double-barrelled and double-mellowed expression of Old No.7 Tennessee Whiskey since it was founded 140 years ago in 1866. A super premium expression that caters to the growing demand for high-end American whiskey in the UK, Jack Daniel’s No.27 Gold Tennessee Whiskey is first matured in brand new charred white oak barrels, before being matured in golden-hued maple barrels. It is then twice mellowed through a sugar maple charcoal mellowing process and bottled at 40%. The result is a smooth refined expression reminiscent of the original Jack Daniel’s Old No.7 Tennessee Whiskey, with a natural amber hue, a scent of toasted oak and honey and a taste of rich, warm maple and fruits. The special edition bottle pays homage to the iconic Jack Daniel’s Old No.7, the world’s bestselling American whiskey, adopting a premium gold colour instead of the traditional black of Old No.7. Packaged within a sleek, limited edition box that resembles a golden brick, the design of Jack Daniel’s No.27 Gold Tennessee Whiskey matches the luxurious finish of the liquid bottled inside. The significance of the number 27 is a further reference to the bestseller, indicating that the new expression is based on the Old No.7 recipe, but double-barrelled and double-mellowed. 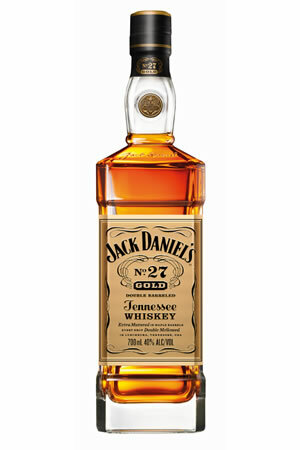 Nidal Ramini, Head of Advocacy, at Brown-Forman comments: “The arrival of Jack Daniel’s No.27 Gold Tennessee Whiskey in the UK is testament to the increasing popularity of American Whiskey we’re seeing in both the on and off trade at the moment. The category is currently worth over £540m in the UK and growing by +14.8% and demand for high-end whiskeys with real provenance and heritage has never been higher.